Impressive plant pot and for sure the greatest I have seen so far. Another wonderful sketch! Pretty big isn’t it! 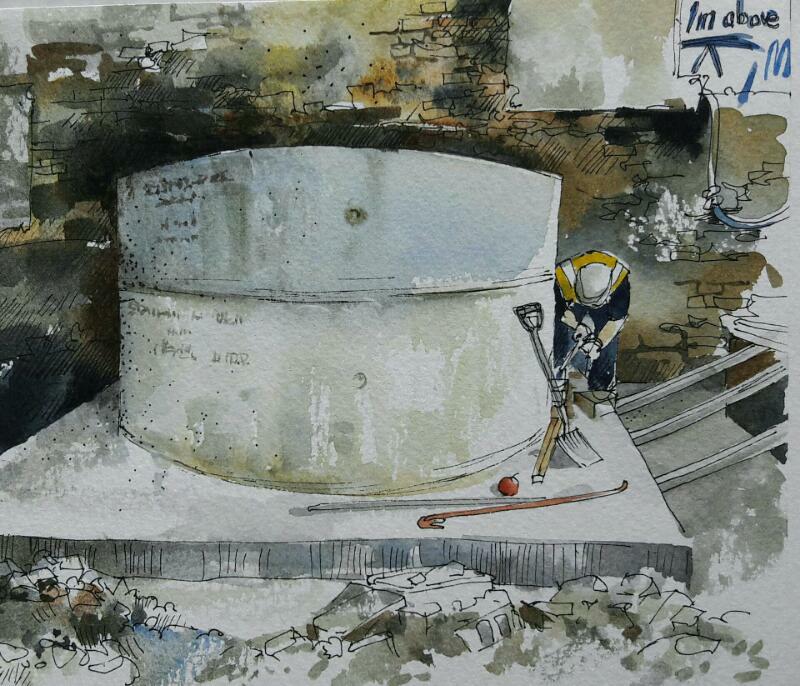 I like the fact that the workman gives it scale – and the tools in front – and the apple (from his lunchbox….) Thanks!